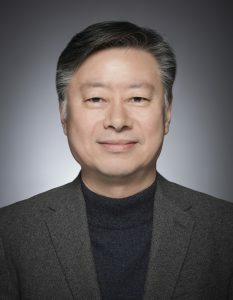 Yun-Jae Kim received his Ph.D. degree in Mechanical Engineering at Massachusetts Institute of technology in 1993, his Master’s degree from Michigan State University in 1989, and his Bachelor’s degree from Korea University, Seoul Korea, in 1985. He was a research scientist in the Institute of Materials Research, GKSS Research Center, Germany from 1994 to 1998, and in British Energy Generation Ltd, United Kingdom from 1998 to 2000. From 2000 to 2004, he was a research professor at Sungkyunkwan University, Korea. Since 2004, he has been at Korea University, where he is now a Professor in the Department of Mechanical Engineering. He is also a visiting Professor in Mechanical Engineering at Imperial College London since 2011. The research fields of Yun-Jae Kim have been structural integrity analysis based on fracture mechanics methodology and computational fracture mechanics. He is an Editorial Board Member in five International Journals; Engineering Fracture Mechanics, Journal of Strain Analysis, International Journal of Pressure Vessels and Piping, Nuclear Engineering and Technology and ASME Transaction Pressure Vessel Technology.